If you are looking for a burst of sunshine in your interiors, then take a look at this beaming collection of yellow room reference, to try throughout your home. To add a cheerful ray to your living room you could start subtly with accessories, cushions and throws, artwork, or perhaps a small accent chair or decorative screen, but if you wanted to go all out on the theme, paint a large accent wall in a vibrant shade or even have a sofa reupholstered. 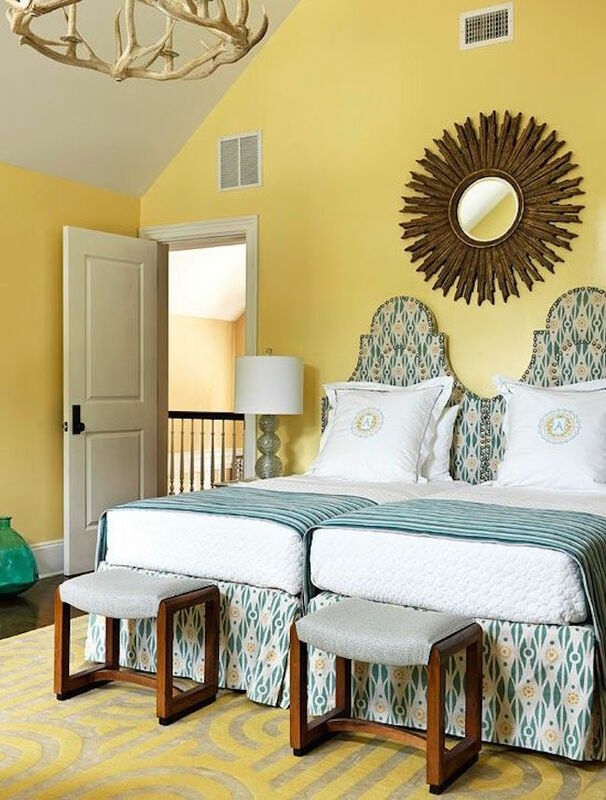 Of course, there are many shades to choose from, if a bright primary yellow is too overpowering for you, a lemon sherbet may be more calming on the eye.